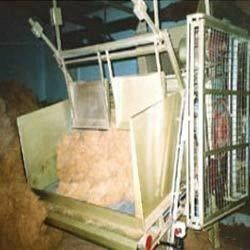 These Machines / Process Lines Process Coconut Coir to make several value added products. 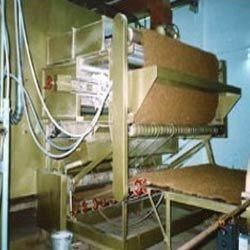 We are the preeminent manufacturer, supplier and exporter of Coir Distributor Machine on turnkey basis in national as well as international markets. Our Coir Distributor is fabricated, using optimum quality raw material that ensures its durability and reliability. 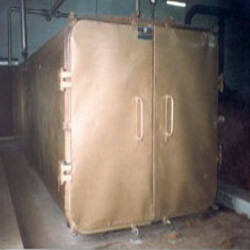 It is manufactured using high grade raw material and known as rubberized coir foam machinery coir distributor. 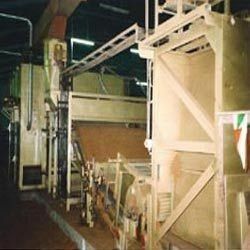 Our Coir Mat Press Machine is offered by us at affordable prices in the national as well as international markets on turnkey basis. It is designed by the in compliance with the industry quality standards, using advanced machines and tools. Offered products are well-known for their high aesthetic appeal, quality and durability. Under this range, we are offering coir door mats, rubber floor mats, coir fiber mats and rubber coir door mats. Number Of Ram : 4 Nos. Number Of Day Light : 7 Nos. Our De Twisting Machine is a dual head inlet device that is designed for untwisting and plucking of curled coir rope. The wires twisted by these machines are extensively used in two-wheelers such as motor bikes, scooters and bi- cycles. Our stranding Twisting Machines are offered to the clients at cost-effective rates.It is also high on demand in the national as well as international markets. 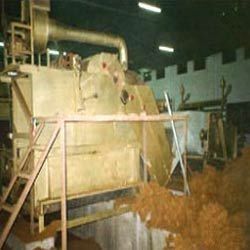 We are a renowned name in the industry that is engaged in providing Feeder Unit Machine to the clients on turnkey basis. 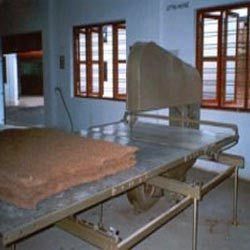 Our Feeder Unit is diligently designed by a team of experts in accordance to the requirements of the clients. It is basically used for feeding of hair fibers composed feeder and automatic quantity regulation, electrical control and infinitely variable adjustment of raw materials quantity. Apart from this, it is also provided with requisite electric motor that help us in ensuring its smooth functioning. 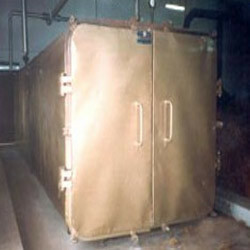 Our Tunnel Dryer Machine are used for drying resin impregnated mats and curtains by hanging them. Afterward, hot air that is indirectly heated is blown over them that drip down excess resin, which are collected at their base. It works in a positive air pressure that comes from the fan of low speed. Its 7,5 HP motor is suitable for dampening and also provides moisture exhaust to the aluminum alloy one which has got a high discharge of air. Our Vertical Cutting Machines are widely praised by the clients in national as well as international markets. Therefore, we make this product available in different capacities, ranging from 3' to 9'. It is a complete trolley device of size 12' x 7' that is equipped with 20 HP motor and other components. We offer the cutting unit with rubber covered knife wheels of 400 mm diameter that is used to accommodate 5-20 mm wide band knives. We provide Latex Tank Machine on turnkey basis to the clients that are based in national as well as international markets. It is one of the prime manufacturing products of our organization that are hugely popular among clients for their long service life and reliability. These Latex Pressure Tank are made of fine quality material sourced from reliable vendors to ensure durable finish in these. We are the prime manufacturer, supplier and exporter of Waste Opener Machine on turnkey basis. Our Waste Opener consists of steel frames, fast moving buckles drum and conveyor feeder with 2 HP 1440 RPM motor. The basic functioning of these fast moving buckle drum includes, cutting of waste and after that its making in useful curled fibers. This way, it also saves the raw material. Spike been used as a raw material gives usability of steel spike and automatic machine for fitting purpose makes krishner beater lag look equivalent without height variation. We are one of the reliable manufacturers of Vulcanizing Chamber Machine that are highly suitable for rubberized coir products measuring. It is designed by the experts, using optimum quality raw material that ensures its long service life. These machines are easy to operate as well as install and ensure longer durability. Our range of vulcanizing chambers are available in various capacities like 12, 20 and 36 mattresses. 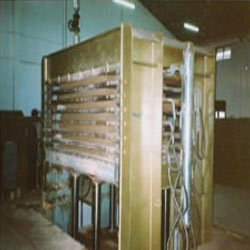 Our Hackler Machine is provided with needle loom that is one of the most important components, needed in its designing. It is also equipped with a condenser and uniform unit for the purposely work for uniform interior and help in advanced interlocking technology (AIT) of the sheets that also includes dust removing fans. Our Latex Spraying Unit Machine is engineered by the skilled professionals, keeping the varied requirements of the clients in mind. It is fitted with air gun and has fitting arrangement of automatic spraying gun. Therefore, our Latex Spraying Unit is highly suitable for spraying latex on both surfaces of fleeces, oil & moisture separators, air reducing valves, connecting on the fleeces without the pressure vessels & compressor.